The NI Team continues releasing brand new soundpacks for users of its popular Maschine Production Stations to keep things fresh for aspiring producers when making new tracks and beats. The newest MASCHINE Expansion for contemporary mainstream EDM is called Crystal Daggers and it comes with lots of sharp bass and thick beat samples for EDM with a Hip-Hop & R&B flavor thrown in. There's also a version available for the iMaschine iphone app for only $1. Check out the details after the jump! The NI Team continues releasing brand new soundpacks for users of its popular Maschine Production Stations to keep things fresh for aspiring producers when making new tracks and beats. The newest MASCHINE Expansion for contemporary mainstream EDM is called Crystal Daggers and it comes with lots of sharp bass and thick beat samples for EDM with a Hip-Hop & R&B flavor thrown in. There&apos;s also a version available for the iMaschine iphone app for only $1. dual-screen Production station last year and we were impressed with its capabilities and simplicity of use. Check out the details in the press release from NI below then check the link in order to hear the sounds for yourself. The NI Team continues releasing brand new soundpacks for users of its popular Maschine Production Stations to keep things fresh for aspiring producers when making new tracks and beats. The newest MASCHINE Expansion for dub basses and crackling beats productions is called Lone Forest and it comes with lots of reverb synth samples & special kits for drones and atmospheric sounds. There's also a version available for the iMaschine iphone app for only $1. Check out the details after the jump! 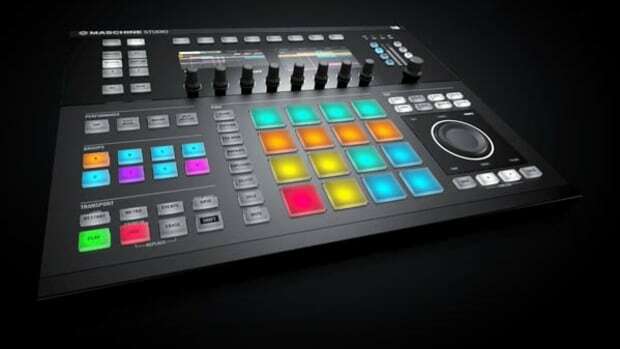 The NI Team is always releasing brand new soundpacks for users of its popular Maschine Production Stations to keep things fresh for aspiring producers when making new tracks and beats. The newest MASCHINE Expansion for Funky Bass-Groove style productions is called Amplified Funk and it comes with lots of cool and contemporary Funk and R&B sounds. There's also a version available for the iMaschine iphone app. 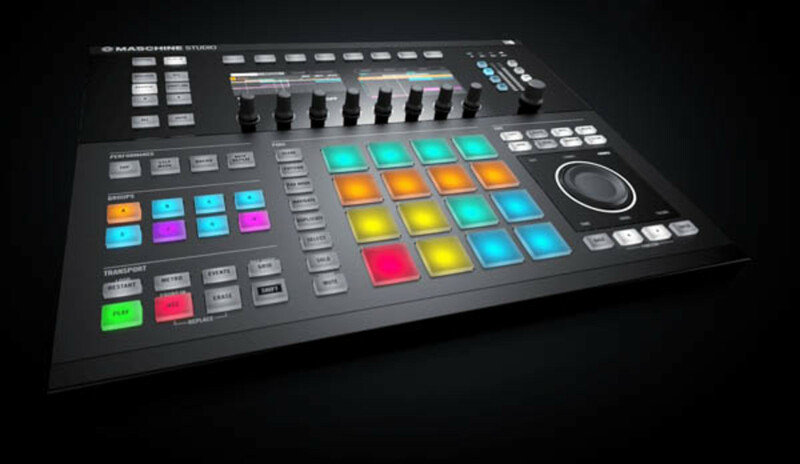 The NI Team is always releasing brand new soundpacks for users of its popular Maschine Production Stations to keep things fresh for aspiring producers when making new tracks and beats. The newest MASCHINE Expansion for Hip-Hop "galactic" style productions is called Astral Flutter and it comes with abstract and tweak-able sounds and grooves to get you started. There's also a version available for the iMaschine iphone app. The NI Team continues releasing brand new soundpacks for users of its popular Maschine Production Stations to keep things fresh for aspiring producers when making new tracks and beats. The newest MASCHINE Expansion for some serious techno-style synths and samples is called Cavern Floor and it comes with lots of new presets within Massive & Prism to make these sounds really pop. Check out the details after the jump! The NI Team continues releasing brand new soundpacks for users of its popular Maschine Production Stations to keep things fresh for aspiring producers when making new tracks and beats. The newest MASCHINE Expansion is called SIERRA GROVE which takes saturated drums, funky electric keys, and a trove of guitar, bass, and synth samples to give your work a new modern edge. There's also a version available for the iMaschine iphone app for only $1. The NI Team is always releasing brand new soundpacks for users of its popular Maschine Production Stations to keep the creative juices flowing for aspiring producers when making new tracks and beats. 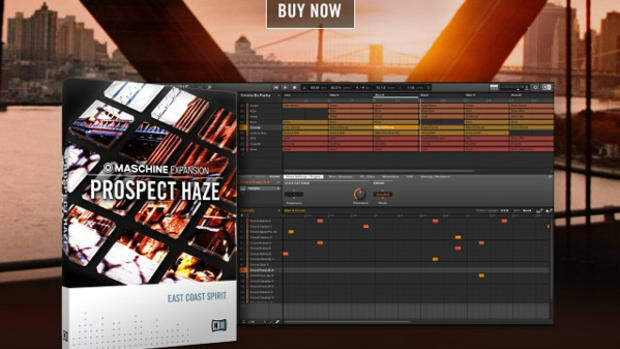 The newest MASCHINE Expansion for Hip-Hop producers is called Prospect Haze and it comes with melodic sounds and grooves from the 90's "golden-age" Hip-Hop era. There's also a version available for the iMaschine iphone app. Check out the details in the press release from NI and the links after the jump. The NI Team continues releasing brand new soundpacks for users of its popular Maschine Production Stations to keep things fresh for aspiring producers when making new tracks and beats. The newest MASCHINE Expansion is called RADIANT HORIZON which uses Caribbean style rhythms for huge bass style music perfect for trap, urban pop, and bass music. As always it's available for $50 and there's also a version available for the iMaschine iphone app for only $1. The NI Team continues releasing brand new soundpacks for users of its popular Maschine Production Stations to keep things fresh for aspiring producers when making new tracks and beats. The newest MASCHINE Expansion is called ELASTIC THUMP which brings the sound of UK grime to MASCHINE. It includes HUGE bass, 8-bit one-shots, and crunchy glitch and distortion effects. As always it's available for $50 and there's also a version available for the iMaschine iphone app for only $1.